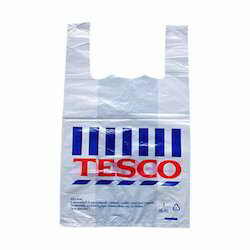 We have carved a niche amongst the most trusted names in this business, engaged in offering a comprehensive range of Printed Plastic Bag. Due to our hi-tech development unit, we are offering a broad series of Printed Polythene Bags that is available in different patterns. We offer this product at nominal rates. The company is a leading Manufacturer and Supplier of PP Bags based in New Delhi. Our PP Bags are widely used in different industries for diverse purposes. Specially manufactured from the best quality polypropylene material, our PP Bags are environment friendly and can be recycled. Moreover, we offer these PP Bags in a choice of colors and sizes, at very reasonable prices.